This book provides a fresh perspective on the population history of Italy during the late Republic. It employs a range of sources and a multidisciplinary approach to investigate demographic trends and the demographic behaviour of Roman citizens. Dr Hin shows how they adapted to changing economic, climatic and social conditions in a period of intense conquest. Her critical evaluation of the evidence on the demographic toll taken by warfare and rising societal complexity leads her to a revisionist 'middle count' scenario of population development in Italy. 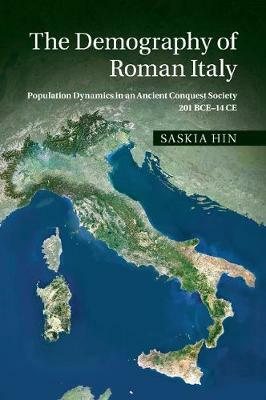 In tracing the population history of an ancient conquest society, she provides an accessible pathway into Roman demography which focuses on the three main demographic parameters - mortality, fertility and migration. She unites literary and epigraphic sources with demographic theory, archaeological surveys, climatic and skeletal evidence, models and comparative data. Tables, figures and maps enable readers to visualise the quantitative dynamics at work.